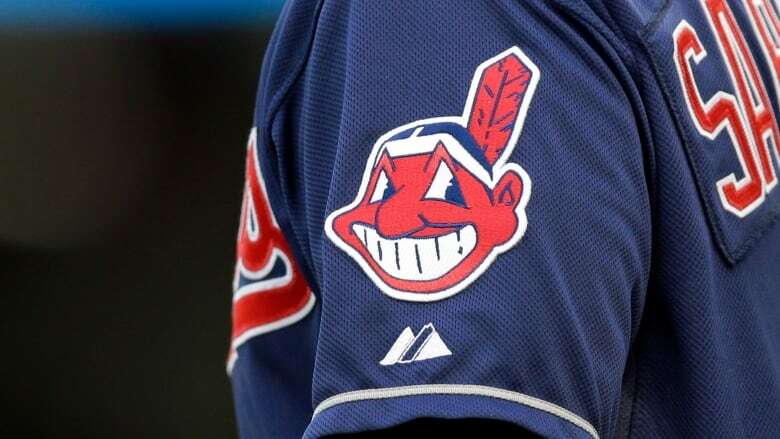 The Cleveland Indians' decision not to use their Chief Wahoo logo in Toronto on Thursday night was applauded by a lawyer representing an Indigenous activist. A team spokesman declined comment Friday on why the team made a change for its final series at Rogers Centre this season, only saying that an MLB.com website story on the development was factual. "Acknowledging increased sensitivity to the Chief Wahoo image in Canada, the Indians ... opted not to feature it during this series," the story said. The caricature of a First Nations man was the subject of controversy during the 2016 Major League Baseball playoffs in Toronto. Indigenous activist Douglas Cardinal filed a human rights complaint federally and provincially against the Indians, MLB and Rogers Communications — the owner of the Blue Jays — trying to stop Cleveland from using the logo during the American League Championship Series that year. Lenczner Slaght lawyer Monique Jilesen, who has represented Cardinal, said the parties have since resolved the human rights proceedings and the court application. "We were very pleased to see that the team decided not to use the logo at the game in Toronto," Jilesen said Friday in an email to The Canadian Press. Cleveland manager Terry Francona said the uniform change for the four-game series was a decision made by the organization and not MLB. "We're just trying to be respectful," he said before Friday night's game. "We're never trying to be disrespectful by wearing it, but it's just (the) respectful thing." "I never said it when I was in Cleveland, but I struggled with Chief Wahoo from the day I got there in 1992 to the day I left," Shapiro said Friday. "I was happy to see it consistently get diminished. "I will shed no tears when it's gone completely." Chief Wahoo will return to the Indians' uniforms on Monday at Tampa Bay and will remain for the rest of the 2018 season. The Indians and MLB announced plans last January to remove the logo from their uniforms completely beginning in 2019. Shapiro, who joined the Blue Jays in 2015 after 24 seasons with the Indians, played a lead role in establishing a block "C" as Cleveland's logo. It replaced the cartoonish image of a big-toothed First Nations man with a scarlet face and single feather in his headdress. Shapiro touched on the logo issue during a wide-ranging afternoon media availability in a stadium boardroom. MLB has said the decision to scrap the logo came from the league's commitment to "building a culture of diversity and inclusion throughout the game." Longtime Blue Jays radio announcer Jerry Howarth, who retired in the off-season, made a point of not saying Cleveland's nickname after a First Nations fan wrote to him explaining how hurtful the name and logo were to Indigenous people. Shapiro, meanwhile, weighed in on a variety of subjects during a 40-minute question-and-answer session. He declined comment on reports of interest from the New York Mets, but said he has received "strong support" from Blue Jays' ownership and wants to stay in Toronto. "This is where I want to be," said Shapiro, who is signed through 2020. Also Friday, top prospect Vladimir Guerrero Jr. was named Baseball America's minor league player of the year. The Blue Jays declined to include the triple-A star with their September callups and instead sent him to the Arizona Fall League. "I feel strongly that the best thing for Vladdy's development is the path that we laid out," Shapiro said.